From humble beginnings on the tree lined streets of South East London I followed the graffiti tags all the way to Camberwell College of Art and Design where I honed my skills in illustration and graphic design. When pressed upon to get a proper ‘paying’ job I headed straight for a local book shop where I learnt my trade as an Ottakar’s Children’s Regional Support Manager spreading the good word about the benefits of bunting and balloons on sticks. Following many many happy years in bookselling I found a new home as a marketing executive with my first publishing family at Hachette Children’s Books, Working with amazing talents including Lauren Child, David Melling, Cressida Cowell, Chris Mould, Clara Vulliamy, James Mayhew and so many more, I spent 5 happy years working on hundreds of fabulous books and making friends for life along the way. The call of the countryside beckoned and soon I fled the big city to take up a new position at Templar Publishing, their award-winning picture books were nothing but a delight to work on and during my time with the team we scooped TWO Kate Greenaway Medals. My love of illustration and design soon led me back to the big city where I reconnected with an old colleague who offered me my dream job as Head of Marketing and PR for Nobrow Press and Flying Eye Books, I now work at Walker Books and Arena Illustration two of the happiest places you could ever hope to work. Blogging on the side and reviewing for parenting magazines to keep abreast of all of the wonderful books emerging during this golden age of picture books. 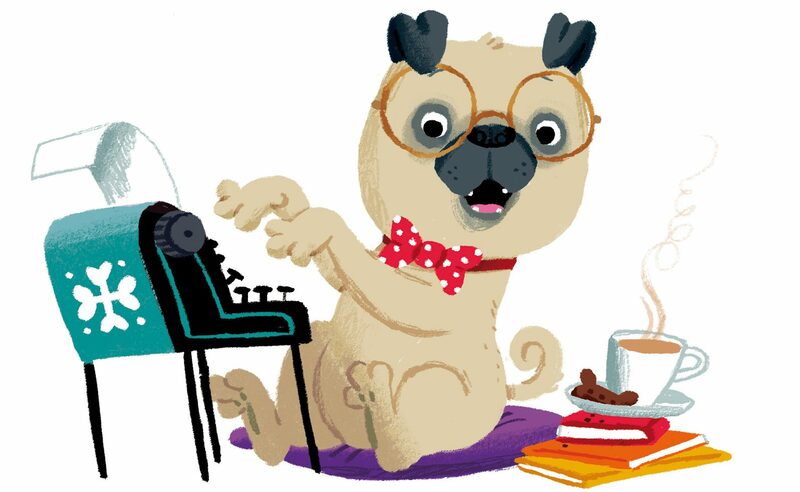 Freelance for: Booktrust, Oxford University Press, Bright, Emma Dodd, Guy Parker Reece, Arena Illustration. Phil Perry, Amanda Wood, Phil Earle, Tamlyn Francis, Caroline Thomson, Chris Mould, Alex T Smith, Steven Lenton, Clara Vulliamy, Damien Jones, David Melling, Lauren Child, Ann McNeil, Kate Burns, Tim Rose, Marlene Johnson, Sharon King Chai, James Mayhew, Benji Davies, Helen Boyle, Roy Butlin, Tamara McFarlane, Clare Kuzimski, Sarah Fisher, Ben Rothery, Fiona Lumbers, Camille Pichon, Rosi Crawley, Mike McGrath and lots more, you are all appreciated.